Well, we’ve been living very publicly here at Rustici Software lately. While it’s not quite The Real World or anything like that, we’re becoming progressively more open about our approach and direction. This week, I’ve been working with our legal folks on our click through agreement for the SCORM Cloud. We’ve had great success publishing our term license agreement with annotations. Prospects and clients alike seem to respond to the clarity afforded by one layman’s annotations (mine), so I figured I’d try something similar here. The Warranty Disclaimer and Limitation of Liability sections have to be in all caps because the courts (including Tennessee) have held that any language in a contract that deals with allocation of risk (i.e.waivers or releases of liability) needs to be conspicuous. All caps has been held to be “conspicuous.” If you don’t like the all caps, we could highlight the language, bold it, or put it in a larger and different font than the rest of the agreement. I have concluded that blinking text is the right solution. Having said all that, I really do want to hear what you have to say. I figure that this agreement will be public soon enough, and if we’re going to hear complaints about it when we start using it, we might as well hear those complaints ahead of time. So, is there anything in the language below to which you react adversely? Do you understand what you’re entitled to do and how you’re limited? Is this a click through agreement you could tolerate as you build applications around the SCORM Cloud? Lastly, I apologize for the length of the document. At one point, I begged Amy to “cut 30% of the document”. She certainly did her best, and I think the result is something simpler and more direct. Alright, you may either click away to something else (as I would) or, if you’re bold, enjoy the legal document! 1. You must use the Service only in accordance with these terms and conditions and the instructions, manuals or other materials regarding use of the Service that Rustici makes generally available to its customers. 2. You must comply with all applicable laws during the exercise of your rights under these terms and conditions (including but not limited to all copyright and export laws). 3. You are responsible for maintaining the security of your account and password. Rustici accepts no liability for any loss or damage from your failure to abide by this provision. 4. You are responsible for all content and materials posted to the Service and activity that occurs under your account. 1. You must not use the Service to store or transmit infringing, libelous, or otherwise unlawful or tortuous material, or to store or transmit material in violation of third-party privacy rights. 2. You must not use the Services to store or transmit viruses, worms, time bombs, Trojan horses and other harmful or malicious code, files, scripts, agents or programs. 3. You must not interfere with or disrupt the integrity or performance of the Service. 4. You must not attempt to gain unauthorized access to the Service or its related systems or networks. 5. You may not use the Service for any illegal or unauthorized purpose. 6. You must not modify, adapt or hack the Service or modify another website so as to falsely imply that it is associated with the Service, Rustici, or any other Rustici service. 1. A valid credit card is required for paying accounts. A credit card number is not required for a free account. 2. You will be billed monthly starting on the 30th day after your account is created. 3. The Service is billed in advance on a monthly basis and is non-refundable. There will be no refunds or credits for partial months of service or refunds for months unused with an open account. 4. All fees are exclusive of all taxes, levies, or duties imposed by taxing authorities and you shall be responsible for payment of all such taxes, levies or duties, if applicable. THE SERVICES ARE PROVIDED “AS IS” AND WITHOUT WARRANTIES OF ANY KIND, WHETHER EXPRESS, IMPLIED OR STATUTORY, INCLUDING WITHOUT LIMITATION ANY IMPLIED WARRANTY OF MERCHANTABILITY, NONINFRINGEMENT OR FITNESS FOR A PARTICULAR PURPOSE, ALL OF WHICH ARE EXPRESSLY DISCLAIMED. IN NO EVENT WILL RUSTICI BE LIABLE FOR LOST PROFITS, OR FOR ANY INCIDENTAL, CONSEQUENTIAL, OR SPECIAL DAMAGES, HOWEVER CAUSED AND ON ANY THEORY OF LIABILITY ARISING OUT OF OR RELATING TO THIS AGREEMENT, THE USE OF OR INABILITY TO USE THE SERVICES OR ANY MATTER RELATING TO THE SERVICE, EVEN IF RUSTICI HAS BEEN ADVISED OF THE POSSIBILITY OF SUCH DAMAGES. RUSTICI’S TOTAL LIABILITY UNDER OR ARISING OUT OF THIS AGREEMENT SHALL NOT EXCEED THE AMOUNTS PAID BY CUSTOMER FOR THE SERVICES. THESE LIMITATIONS SHALL APPLY NOTWITHSTANDING THE FAILURE OF ESSENTIAL PURPOSE OF ANY LIMITED REMEDY PROVIDED IN THIS AGREEMENT. 1. 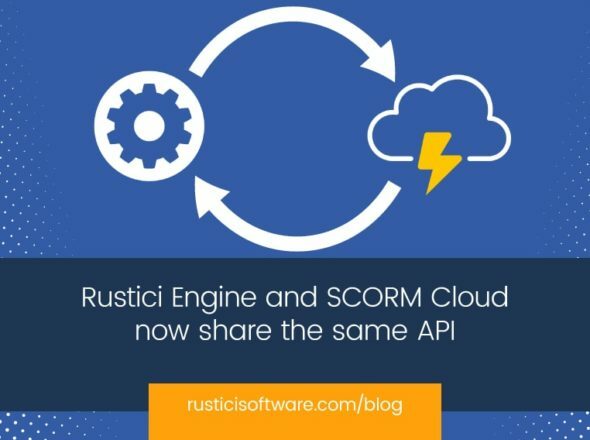 You may terminate your account and access to the Service at any time by submitting such termination request in writing to Rustici at support.cloud@scorm.com. 2. If you cancel the Service before the end of your current paid up month, your cancellation will take effect immediately and you will not be charged again. 3. Rustici, in its sole discretion, has the right to suspend or terminate your account and refuse any and all current or future use of the Service for any reason at any time. 4. Cancellation or termination of your account will result in the deactivation or deletion of your account or your access to your account. All of your content and materials will be immediately deleted from the Service upon termination or cancellation. Rustici reserves the right at any time and from time to time to modify or discontinue, temporarily or permanently, the Service (or any party thereof) upon notice, provided Rustici may not provide notice if such modification or discontinuation is for security or emergency maintenance purposes. You agree that Rustici shall not be liable to you or any third party for any modification, suspension or discontinuance of the Service (or any part thereof). 1. You acknowledge that as between you and Rustici, Rustici owns all right, title and interest in and to the Service and the accompanying documentation and all related modifications and enhancements. 3. Rustici shall have a royalty-free, worldwide, transferable, sublicenseable, irrevocable, perpetual license to use or incorporate into the Services any suggestions, enhancement requests, recommendations or other feedback provided by you, relating to the operation of the Services. 4. So long as you are using the Service, you may build applications on top of the Service. Rustici claims no intellectual property rights over the material you upload to or build on top of the Service. Your uploaded material and material sitting on top of the Service remains yours. However, by setting your pages to be shared publicly, you agree to allow others to view and share your content. 5. Rustici does not pre-screen content, but Rustici has the right (but not the obligation) in its sole discretion to refuse or remove any content that is available via the Service. 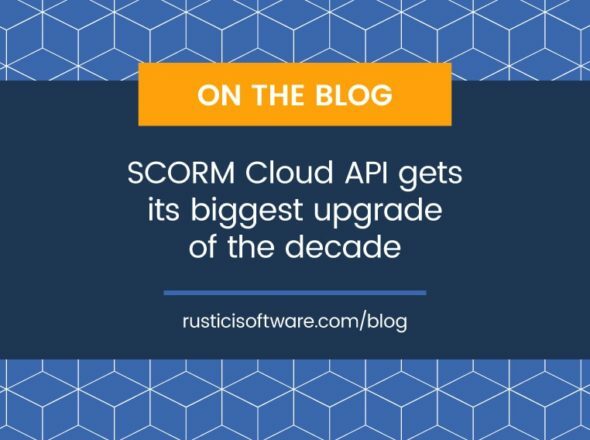 Questions or notices for Rustici can be sent to support.cloud@scorm.com.